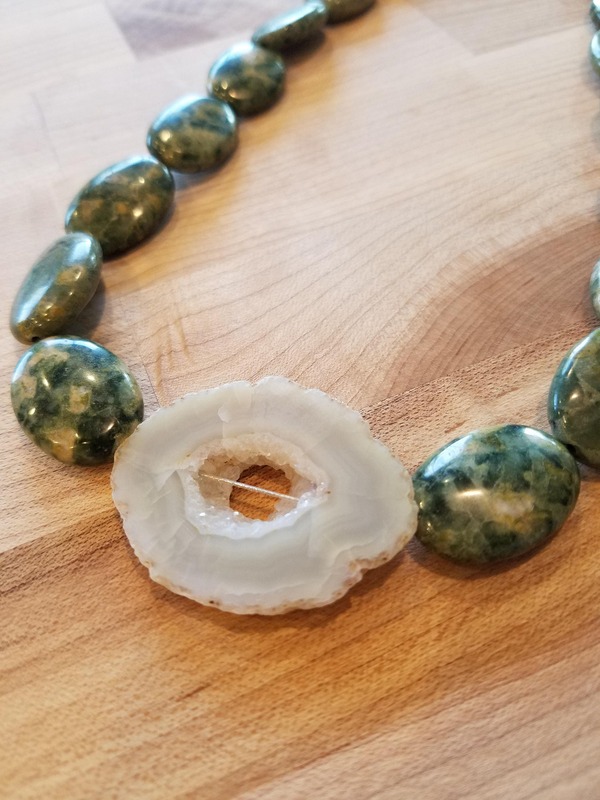 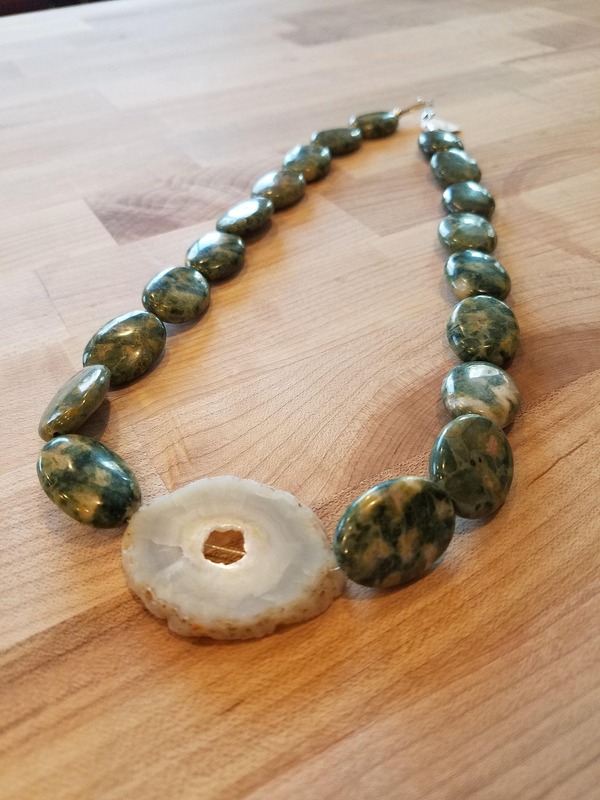 22 inch Green Agate and White Geode Beaded Necklace. 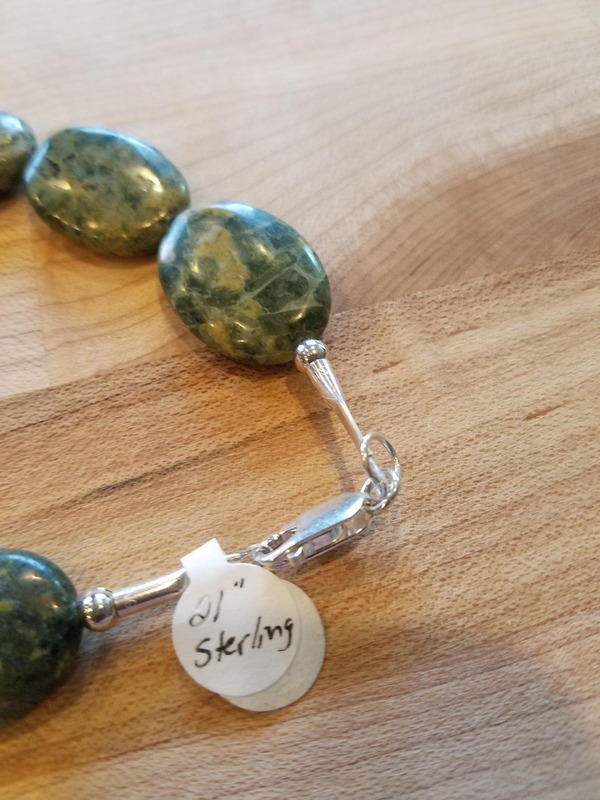 Sterling Silver Claw Clasp. 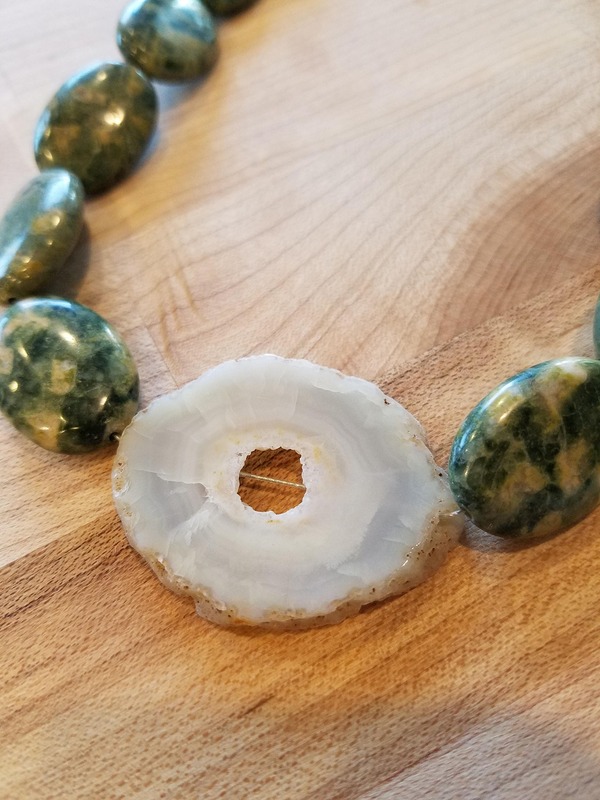 This necklace is one of my favorites ! 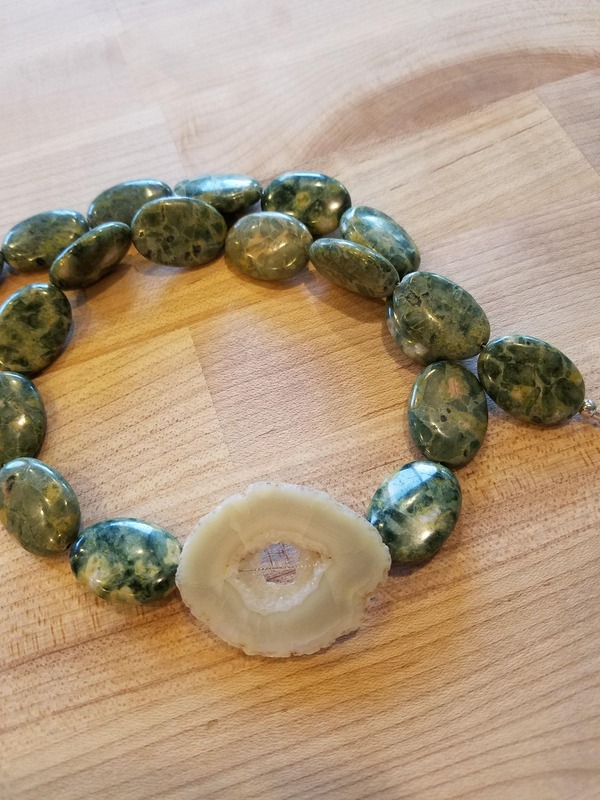 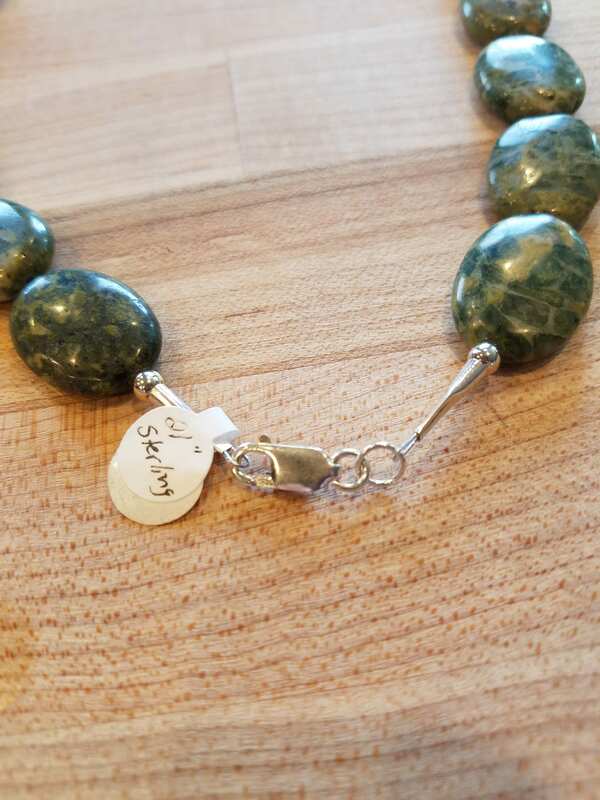 These green beads are so pretty with a beautiful center agate. 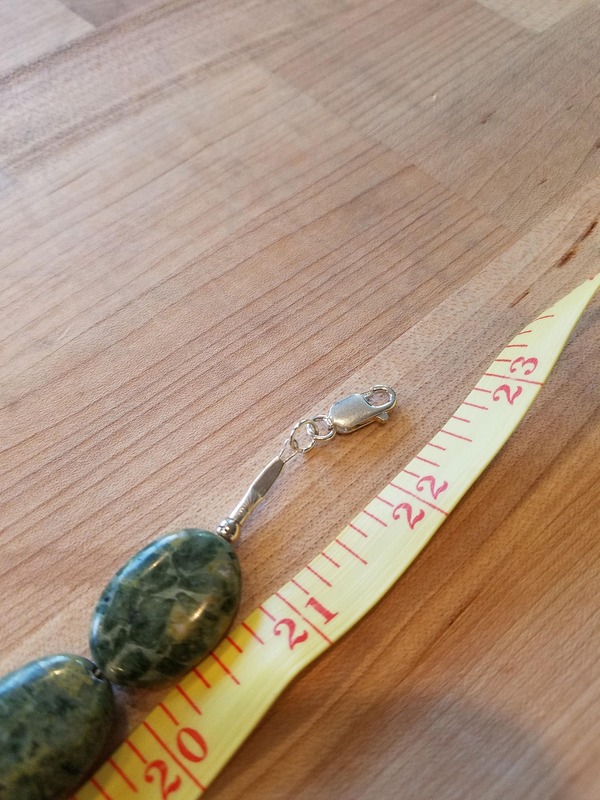 The necklace is 22 inches long. 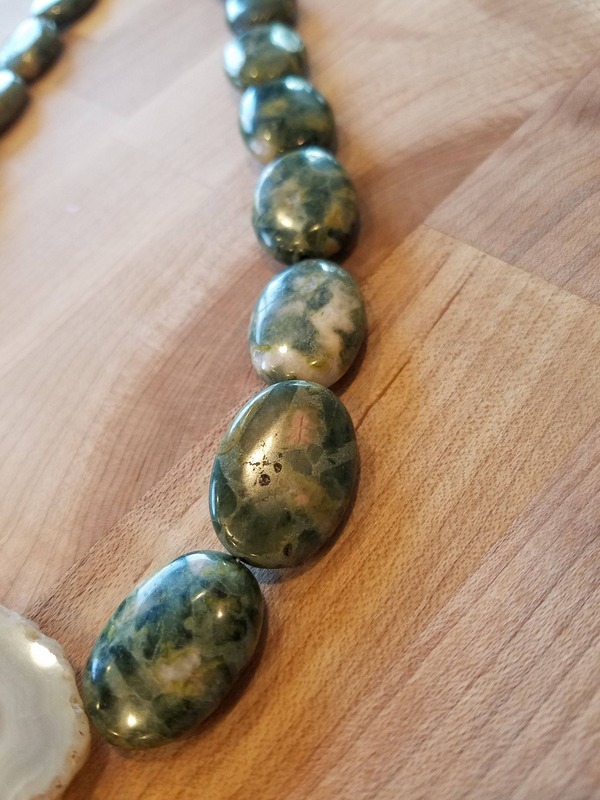 The beads are all same size except center stone. 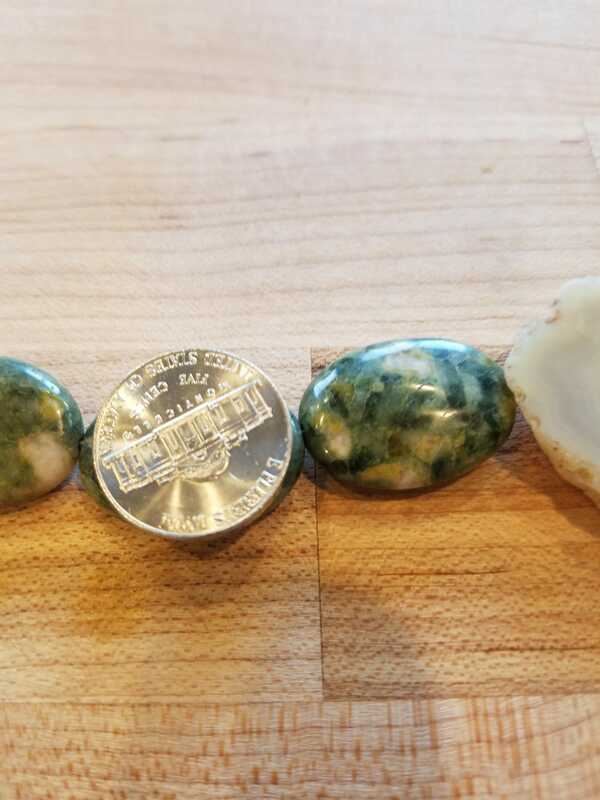 The center stone is 1 3/4 inch wide and 1 1/4 inch long.